This view looks west with the monumental United States Custom House in the foreground. 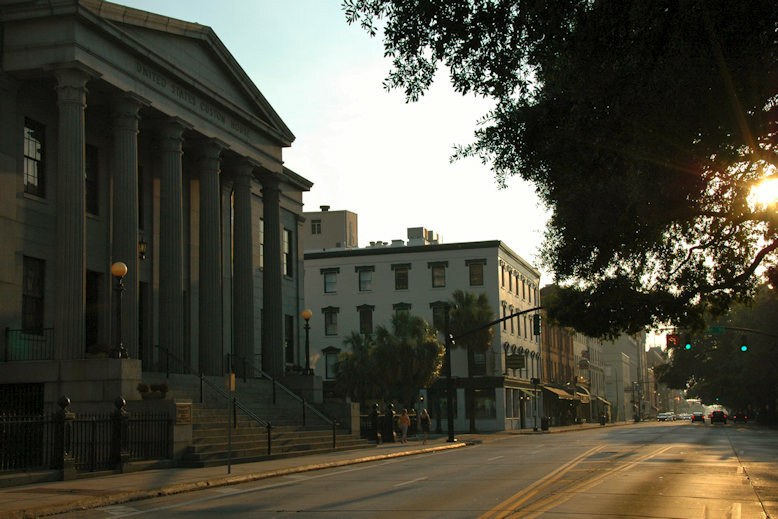 The Custom House was built on the site of one of James Oglethorpe’s homes by prolific Savannah architect John Norris. Notably, it was the site of the last documented trial involving the illegal importation of slaves, in re: The Wanderer. 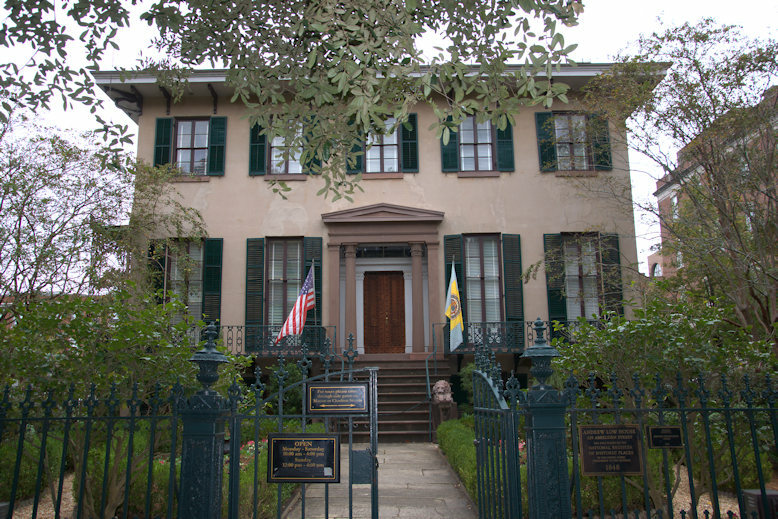 Built between 1848-1849 on a trust lot facing LaFayette Square by architect John Norris, the Andrew Low House is one of Savannah’s most iconic residences and its most popular house museum. 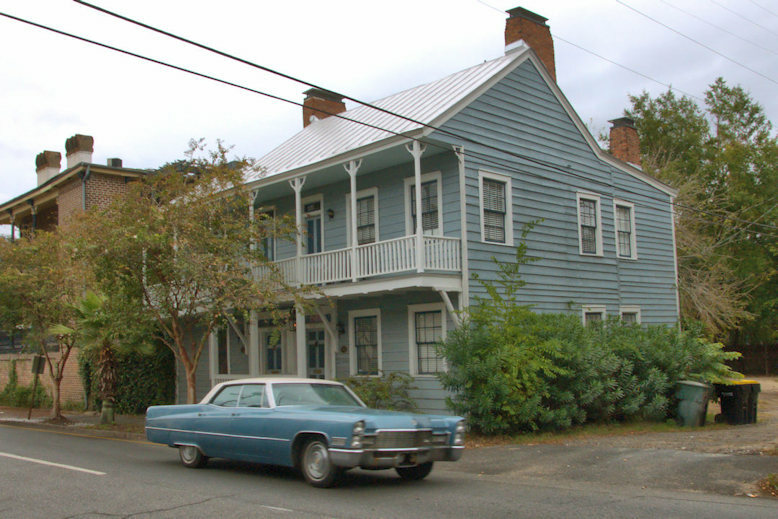 Vanity Fair author William Makepeace Thackeray described it as the “most comfortable accommodations in America”. Low was self-made, with early success in retail and shipping. He eventually became Savannah’s premier cotton factor and wealthiest man. Andrew Low persevered through numerous personal losses and a Union blockade and was even captured and briefly imprisoned for his part in procuring the largest successful shipment of guns and munitions to reach the Confederacy. Losses brought on by the war and the instability of the cotton market led Low and his remaining family to relocate to Leamington, England in 1867. 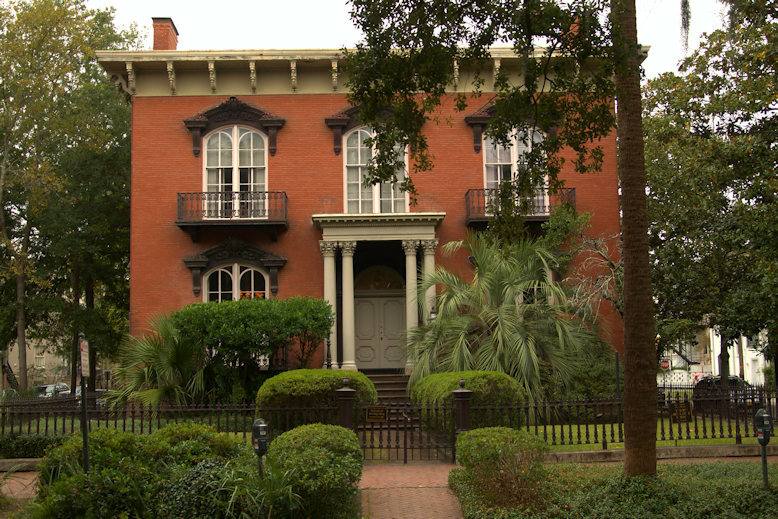 Andrew Low, who always maintained ties with Savannah, died at Leamington in 1886. He was buried alongside his wives and son at Laurel Grove. Juliette Gordon Low, founder of the Girl Scouts, was married to Low’s son William Mackay Low. They planned to divorce but before it was final, Low died in 1905. Juliette, known to friends as Daisy, inherited the house and lived here until her death in 1927. 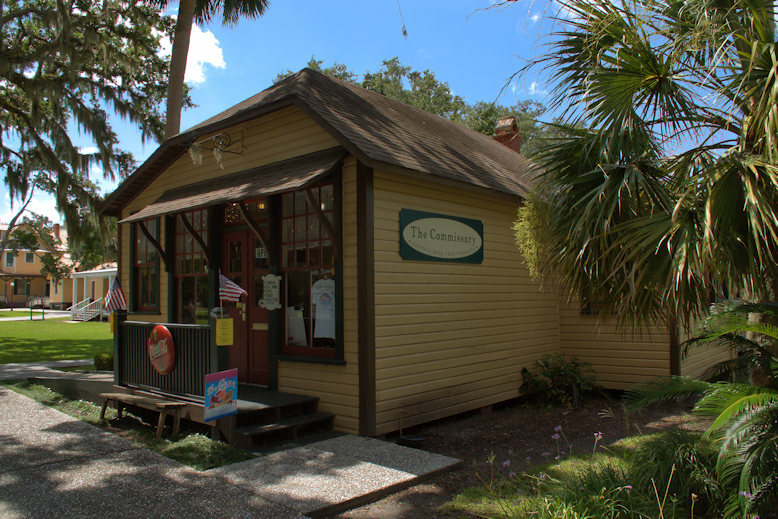 Built in the early 1900s, this is now home to Gypsea Glass. 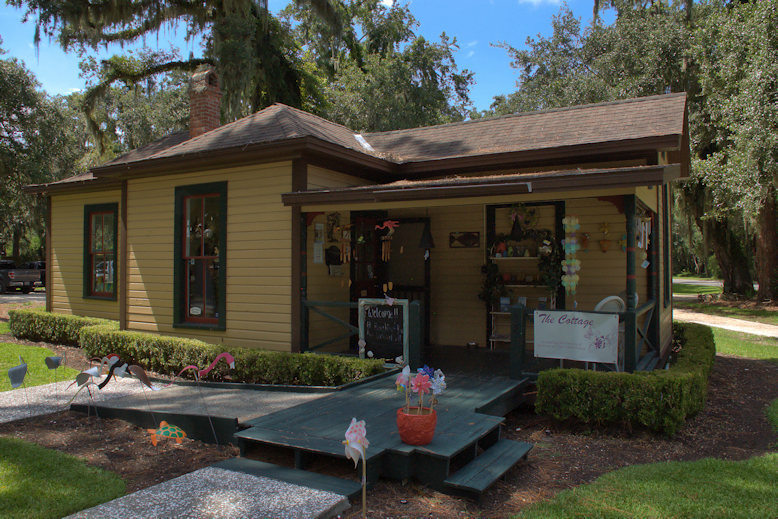 Also known as Stephen’s Cottage, this small house was built for the Club bookkeeper. 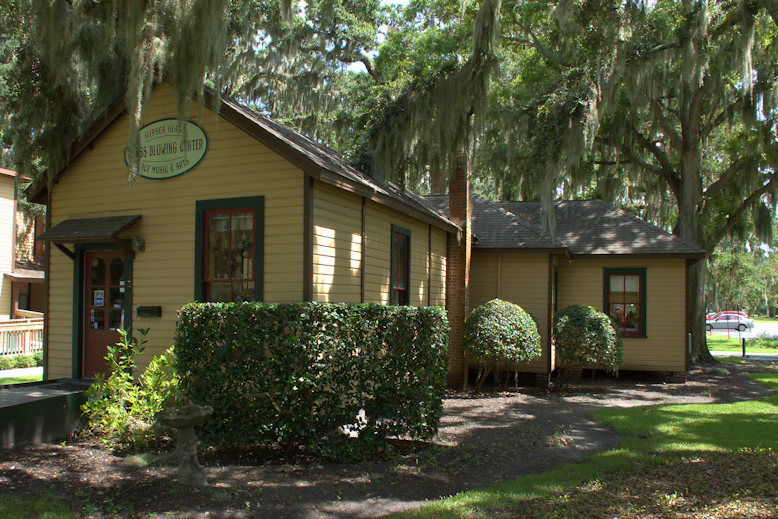 Julius A. Falk served as the bookkeeper and assistant treasurer in 1897 and lived here year-round. He served as Assistant Superintendent, managing the affairs of the Club in the absence of Ernest Gilbert Grob. It’s presently home to the Cottage Gift Gallery.